Location is excellent. Lot of restaurants near by. It was just perfect. Great apartment. Full service and most important perfect location which is close to all must visit places. The costumer service was wonderful. Room very clean and location perfect for local bars and entertainment. Friendly, efficient staff, great location, comfortable apartment that was a good value for its location. We were really impressed with the quick, helpful communication before and after arrival with staff. This place is run very well. Very nicely located. Spacious. One bedroom had over 50m2 with very nice closet space. Close to the city, shops and restaurants. Staff were very Kind and helpful. The location is excellent. We would leave the apartment in the morning and head directly down the street toward the river where most sightseeing is to be found. There are excellent restaurants on the block and all along the street. A small grocery store and several bakeries are a couple blocks up the street. The free pool/hot tub/sauna is just around the corner at a spa. The staff is very kind and there is a doorman on the first floor 24 hours a day. I liked that host were there all the time if we had some questions. Garage is a great facility. The apartment was clean and comfortable, and location is great, near centre and you can easily approach everything by foot. Loved the location and the unique experience of staying in a local Budapest Apt.! The location, the staff, the apartment was nice and comfy. Lock in a great price for Town Hall Apartments – rated 9 by recent guests! One of our top picks in Budapest.The modern Town Hall Apartments are only a 5-minute walk from the Opera and the Deák Ferenc Square metro stop. 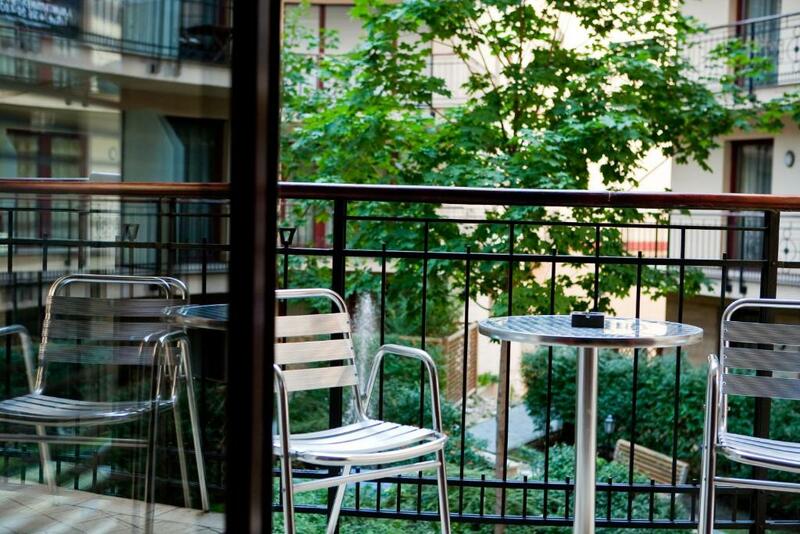 All apartments have a large terrace and offer free WiFi. Paid private parking is also at guests' disposal and prior reservation is needed. Guests also have free access to the Go Active Fitness Center with wellness and gym facilities. 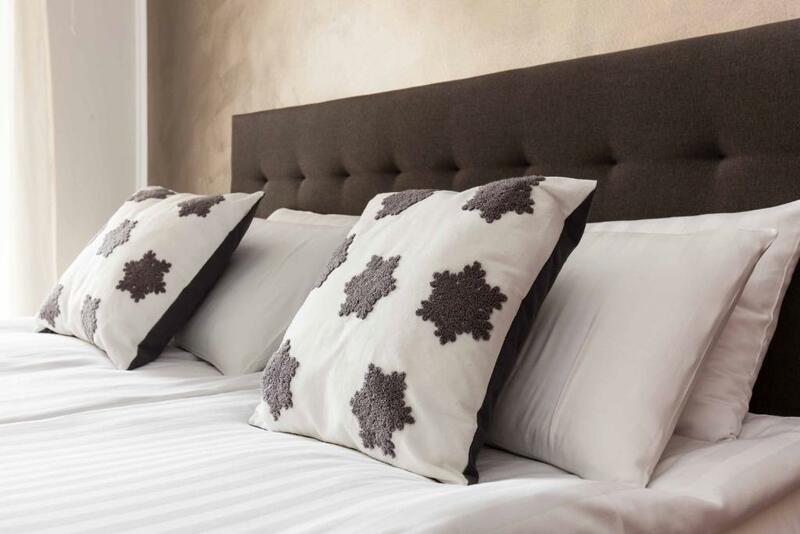 Each Town Hall Apartment has king-size beds and a fully equipped kitchen. Complimentary tea and coffee is provided on arrival. Breakfast is available at a nearby restaurant or it can be ordered to the apartment. Luggage storage is available in case of a late check-out or an early check-in. The Parliament, St. Stephen's Basilica, the Great Synagogue, Váci street can be reached on foot within no more than 15 minutes. Next to the Town Hall Apartments there is a 24-hour supermarket. When would you like to stay at Town Hall Apartments? Apartment with a balcony, 1 bedroom with a king bed and a living room. 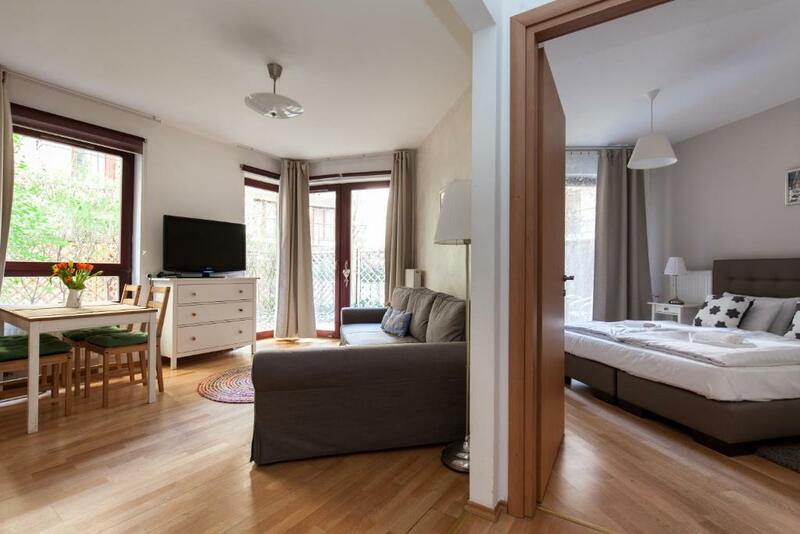 This apartment has a spacious terrace, 1 bedroom with a double bed and a living room with a sofa bed. On request, up to 2 children can be accommodated in this apartment. 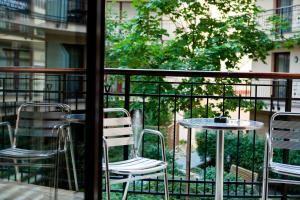 This apartment has a large balcony, 2 bedrooms with double beds and a living room. On request, up to 4 children can be accommodated in this apartment. We beleive that the hospitality business is built on creating an environment where people can feel at home. With its space and comfort, great services and friendly faces, Town Hall Apartments Budapest was designed to be enjoyed. Our aim is to have satisfied, happy guests. Our main focus is to leave the city’s noise outside the building and create a safe and sound environment for singles, couples and families. We want them to feel like home from home. Hence we are very sorry but we are unable to accommodate groups. 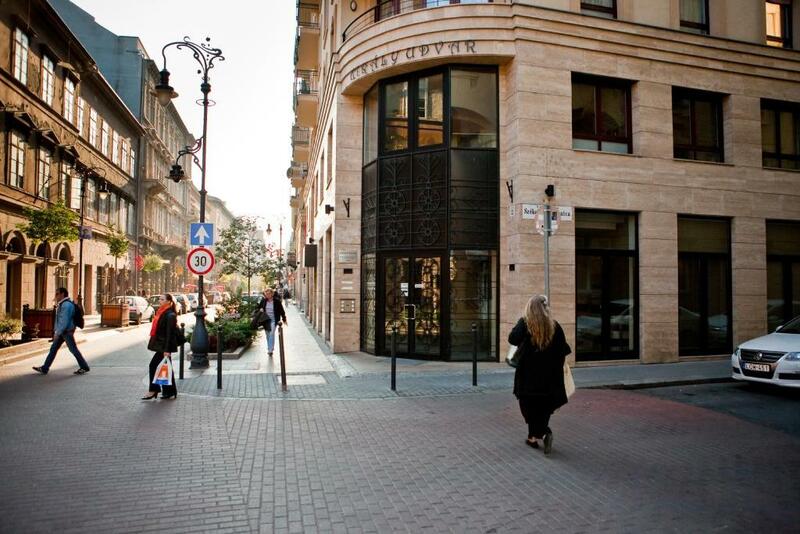 Central to exciting nightlife and entertainment, she serves as a gateway to the unique urban experience of Budapest, spa adventures, wine country excursions and more. House Rules Town Hall Apartments takes special requests – add in the next step! Free! One child from 0 to 6 years stays free of charge in a crib. One child from 7 to 12 years is charged EUR 5 per person per night when using existing beds. Town Hall Apartments accepts these cards and reserves the right to temporarily hold an amount prior to arrival. Please note that cash payment is possible both in EUR, GBP, USD or HUF, and that the conversion is made at the foreign currency selling rate. A late check in after 24:00 is available only at an additional cost. Go Active Fitness Center is located a 2-minute walk away. Please schedule the fitness hours upon your arrival with the reception staff. Maximum height of vehicles in the underground garage is 6.9 feet. In case of group reservations a security deposit of EUR 100 euros per person is payable in cash upon arrival. Wellness and spa are not located in the same building (5 min walk). Children below 16 are not allowed to enter the wellness center. A very noisy place even at 4am. Rather cheap equipment. The location: most attractions were in a walking distance, lots of restaurants in the vicinity. Parking place is in the building (you need to pick up the parking card first). Kitchenette was quite well equipped. Everything was ok! The host was great! The location also! Spy and wellness are added as possibilities but they are possible as a partnership between hotel and nearby fitness centre, it is not far away but it's not in the same building. The host was very helpful, provided a coffee and showed us around the apartment. Great selection of extra pillows, access to a very nice gym and pool around the corner and in a street with every restaurant and bar you could desire. The flat would needs some refreshing of the decoration and furniture. Some parts are a bit tired and overused. Excellent location, polite and helpful service. Convenient parking. Overall very good experience. Unfortunately the mattresses were uncomfortable, you could feel the springs pushing out, the pillows were also very hard, the shower was leaking, the floor in the apartment was not very clean, the wooden kitchen table and the chairs seem to have some sort of greasy patina on them. The street was very loud and people in the other apartments were having parties all night long. To sleep there was difficult. It was much more quiet during the day! But this was our mistake for not doing a proper research before booking. Also some rooms are better then the others for the same price, that means you cannot expect the same standards as in a hotel. The pictures looks much better then in reality. I would stay in a hotel if I would come again to Budapest. 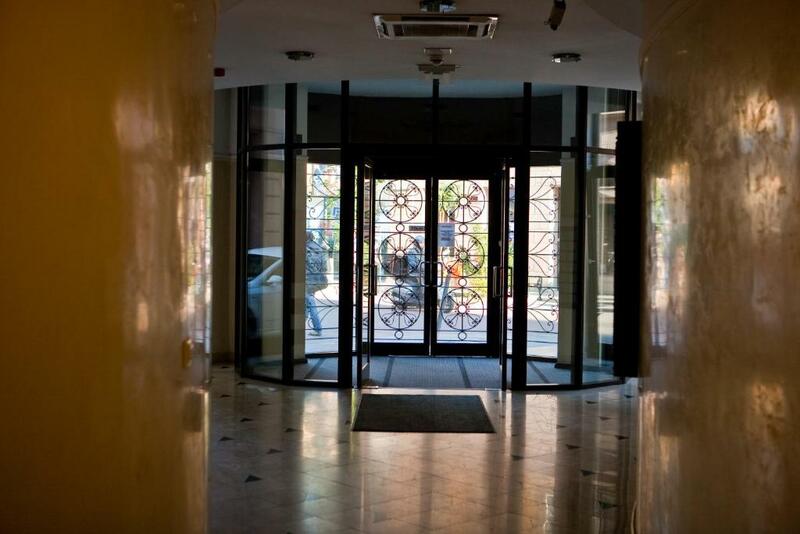 Very nice apartment in the heart of Pest (close to a lot of restaurants, pubs, cultural and turist icons) with underground parking available. The apartman size is very generous, receptionist very kind and helpful. The apartament Was beatiful ! That all. I DIDN'T LIKE THE BEHAVIOR OF THE EMPLOYEES.THEY WERE RUDE.THE PARKING OF THE HOTEL COST 5E PER DAY. THE ROOM WASN'T WARM ENOUGH.BUT THE WORST OF ALL ,WAS THAT I HAD CHOSEN THE ROOM THAT THE SMOKING WAS ALLOWED AT THE FORM OF BOOKING,BUT WHEN WE ARRIVED THEY SAID US THAT IT IS FORBIDDEN AND WE SHOULD SIGN THAT IF WE WERE SMOKING WE SHOULD PAY PENALTY 100E! !IN ADDITION WE HAD DONE AN AGREEMENT WITH THE RECEPTIONIST TO CHECK OUT AT 11 THE MORNING,BUT AN EMPLOYEE WAS RINGING THE BELL AT 10 SHOUTING THAT IF WE DIDN'T LEAVE THE ROOM WE SHOULD PAY 20E EXTRA.